Needless to say the first entries in the notional Festival Diary were made many months before. with the arrival of the trees five days before we opened our doors. 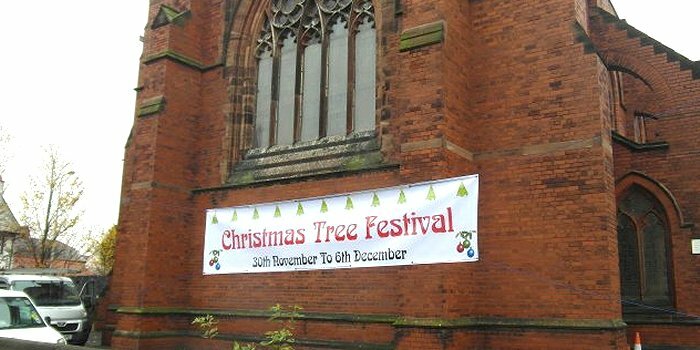 Once again we are grateful to Tony Almond for providing the trees at cost. 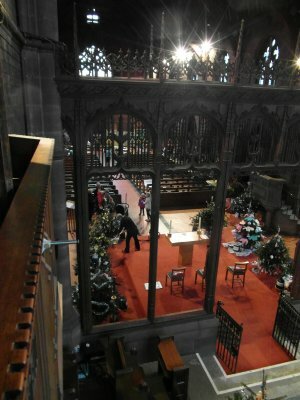 The trees sit, cocooned and ghostly, by the font awaiting their unveiling. 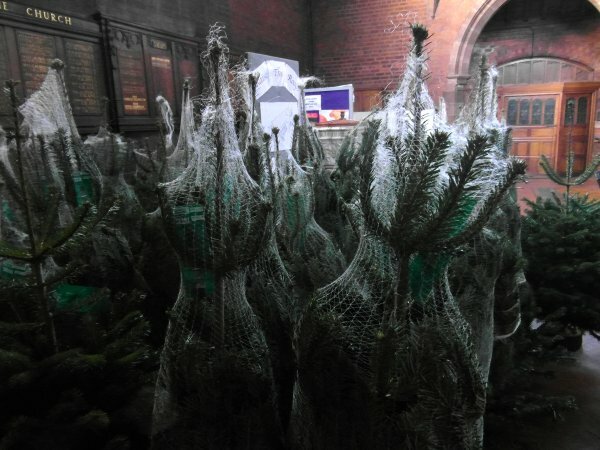 positioned the 39 trees strategically in their planned positions around the church. 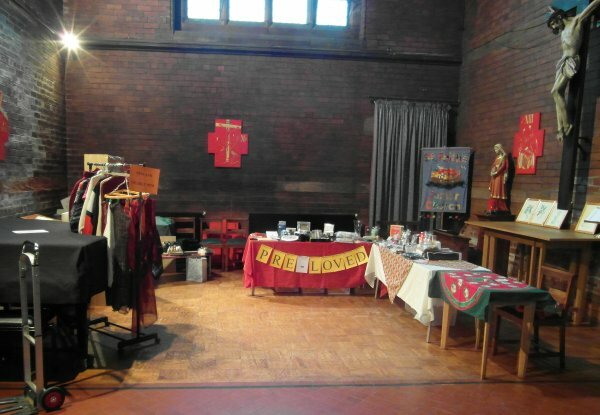 while the Chapel of the Cross was transformed into a second-hand shop ('pre-loved' sounds classier). By close of play, some trees still awaited their transfiguration, but the spectacle was already unfolding. The final day of preparation for tomorrow's opening session saw the remaining trees decked out in their finery and festooned with lights. 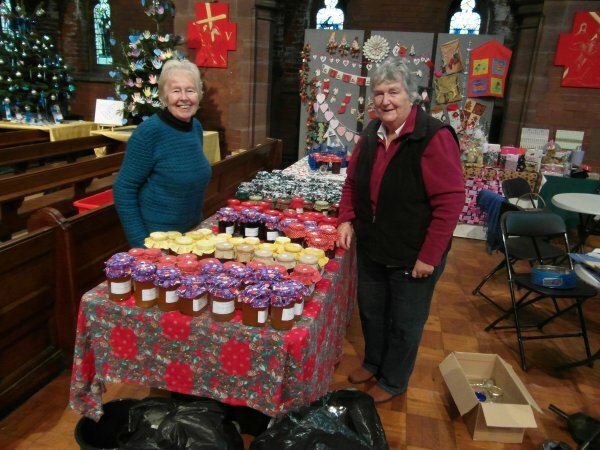 The Famous Jam Factory tables groaned under the weight of marmalade, jams and chutney, with cakes and other edible goodies still to come. 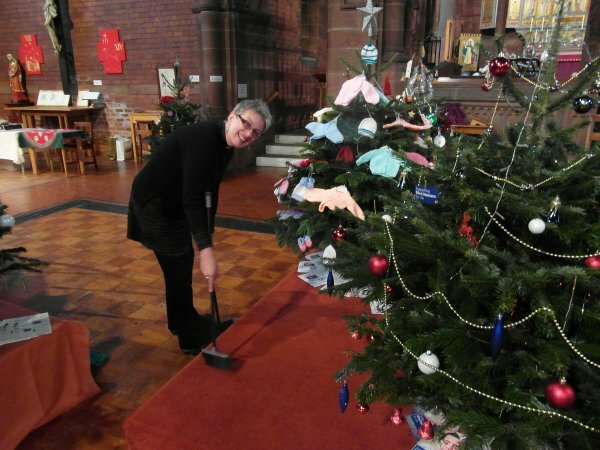 while Revd Sue (our New Broom of an incumbent!) 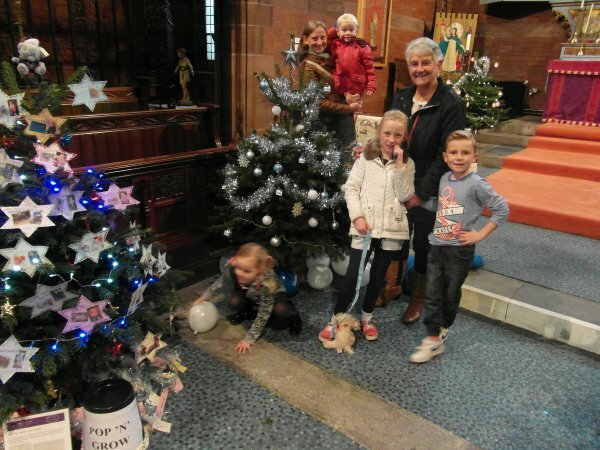 chased falling pine needles around the church and Margaret (Old Hand!) 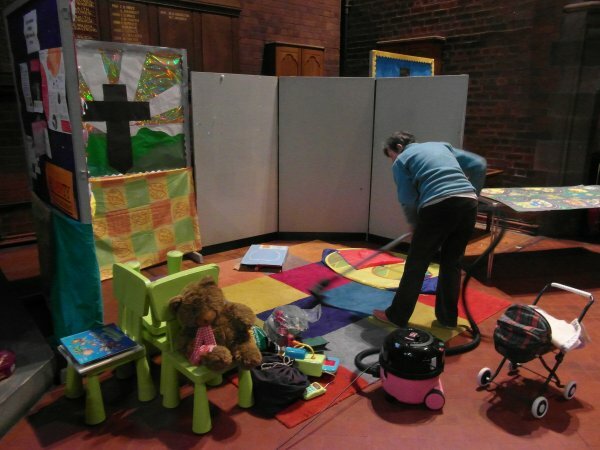 prepared the children's play area.